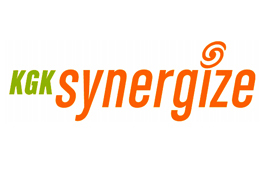 KGK Synergize Inc. was established in 1997 by three scientists from the Center for Human Nutrition at the University of Western Ontario whose passion for research on natural products spearheaded the focus of the company. Today, KGK Synergize is a contract research organization that specializes in gold standard, randomized controlled human clinical trials for the nutraceutical, dietary supplement and functional food industry. KGK is dedicated to supporting good nutrition practices both locally and globally. KGK Synergize’s clinical trial site is dedicated to promoting the health and well-being of area residents by encouraging them to participate in the research of novel compounds that may have important health benefits. Located in the heart of downtown London, Ontario, KGK is one of the few clinical research organizations that offer both human clinical studies and laboratory services. KGK’s clinic offers excellent outpatient facilities with extended hours, when needed, to accommodate the needs of trials and subjects. All studies are approved by an independent ethics review board (IRB) and follow Good Clinical Practices (GCP) and Regulatory Guidelines.